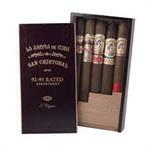 The San Cristobal brand was created in 2007 and is another Nicaraguan made brand of the Ashton Cigar family. The other line is the La Aroma de Cuba. Both lines are handmade and blended by the (Don Pepin) Garcia family. 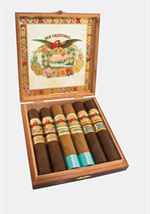 San Cristobal Revelation marks the fourth line in the portfolio. 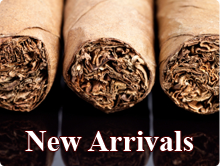 These cigars are made with an Ecuadoran Sumatra wrapper over Nicaraguan binder and filler. It's actually the same wrapper leaf used in Ashton's Virgin Sun Grown blend, which is rolled in the Dominican Republic by Tabacalera A. Fuente y Cia. But while the Virgin Sun Grown is covered with a top-priming leaf, the wrapper used for Revelation is viso, or mid-plant priming. As such, the wrapper is lighter—what the company describes as more "chocolate brown" in color. Both binder and filler leaf for the blend consists of Nicaraguan tobaccos.